Another epic episode! 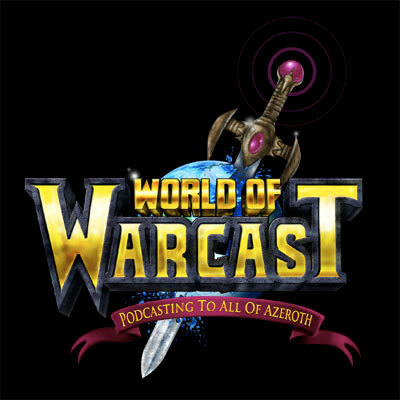 We welcome Starman from the World of Warcast podcast. We talk about many things, as usual, and extract all sorts of podcasting secrets. We also talk about patch 3.3.3 on the PTR and Pets are going Plushie! An enlightening voicemail and generally awesome discussion round it out. Only a third of new players to World of Warcraft make it past level 10 – the tipping point at which the majority of gamers will then go on to become dedicated players – making the title’s ongoing success in the marketplace five years after launch all the more impressive. Blizzard expects the third expansion pack for its massively multiplayer sensation World of Warcraft to arrive in the “back half of 2010,” according to CEO Mike Morhaime. The following is what we knew prior to getting the patch notes above. There is a nice interview of Tom Chilton (Kalgan) on Gameinformer.com. We learn a couple of new things here, including an almost-confirmed upcoming single-boss raid encounter: The Ruby Sanctum in the Chamber of Aspects under the Wyrmrest Temple. The Dungeon Finder tool might be extended “at the very least” to 10-person raids at some point in the future. A new Mobile Authenticator application appeared on the Android Market yesterday, it isn’t officially announced yet but the application is indeed legit. Blizzard and UDE part ways. The Pet Store is about to go plush! Introducing the Wind Rider Cub and Gryphon Hatchling, the first in a new line of cuddly, crafty critters scheduled to arrive exclusively in the online Blizzard Store in the weeks ahead. Each plush companion will come with a code for a matching in-game, non-combat, account-bound pet to fly by your side in Azeroth. Both Horde and Alliance players will be able to adopt either pet once they hatch in the online Blizzard Store. Keep your eyes on the sky — and the official World of Warcraft website — for more information. If you gave your character a voice, how would a conversation between you and them go? How would you interact with them? Would you play god? How would your character sound? Would they be intelligent, witty, or be the embodiment of the stereotypical “huntard”? Suggested by Azryu from the Arcanery. Next week we are taling with Shy from Shy at Wow.